Garden Fencing - Make Haste while the Sun Shines! Summer is drawing to a close, much as we may hate to admit it! There is still a short time until the weather begins to turn chilly so make sure that all of the garden jobs are up to date - now is the perfect time to complete garden fencing work and NWTT are on hand to offer materials of the most professional quality at a realistic, competitive and affordable price. Dive in to our garden fencing range and find the best choice for your outdoor space! Start with the posts - be sure they have a good foundation to provide a lasting framework for your garden fencing. Concrete posts offer the required strength and durability and the NWTT selection includes a comprehensive array of products including corner, intermediate, end and three-way posts - we also supply several complementary panels fabricated from the same material. The picket fence is perhaps one of the most recognised forms and was popularised during the earliest era of colonialism in the United States of America. Offering security without excessively blocking views, this attractive style of garden fencing is extremely versatile and will suit a whole range of gardens. 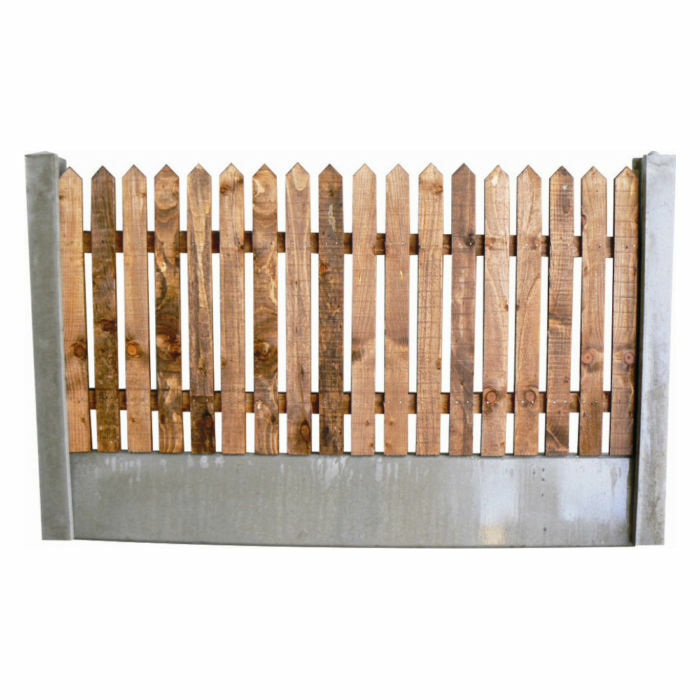 Choose from our classic Pointed Picket Panels or stylish Round-Top Picket Panels to create your attractive and durable garden fencing. For complete privacy, choose solid wood panels such as vertical weatherboards or waney-lap panels. 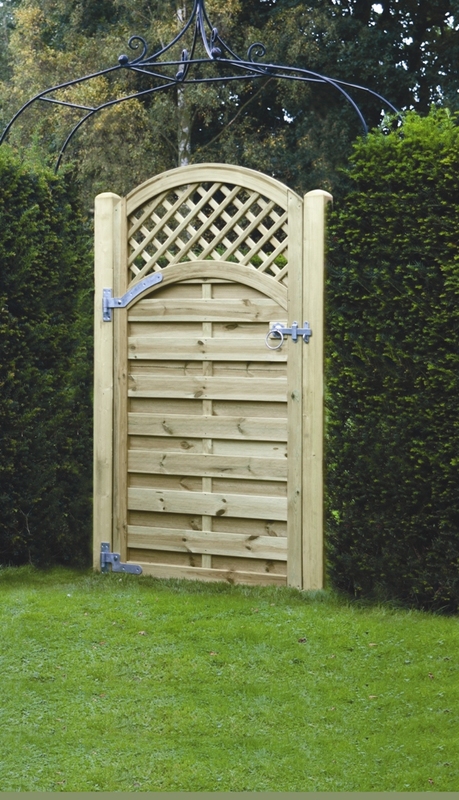 A decorative touch can be added by selecting from our attractive collection of gates, which features such bestsellers as the Arched Lattice Top Gate - this pressure-treated product is made from timber of incredible quality and is treated with preservative to make it highly resistant to weathering. Stainless steel fixings, also resistant to the corrosive effects of the weather, complete the gate. Get your garden fencing done while the sun still shines! 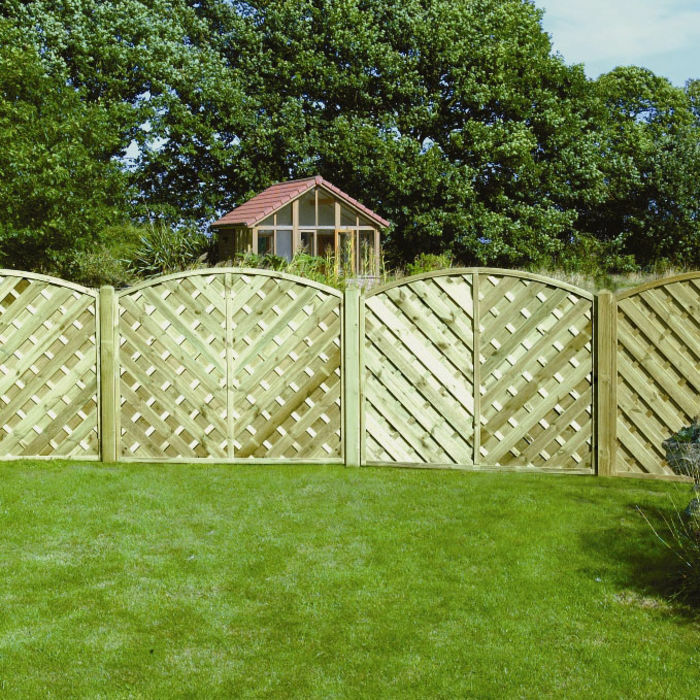 Call the NWTT Timber Merchants team today on 01942 720777 or email sales@nwtt.co.uk to find out more about our garden fencing range.